The A8300sc is a compact, high sensitivity, low noise MWIR camera with a cooled Indium Antimonide (InSb) detector for HD thermal images with the finest details. The A8300sc HD MWIR camera is geared for thermal electronics inspection, thermal microscopy, materials non-destructive testing, failure analysis, aerial thermal mapping, and industrial R&D applications. The A8300sc is a compact, high sensitivity, low noise MWIR camera with a cooled Indium Antimonide (InSb) detector for HD thermal images with the finest details. 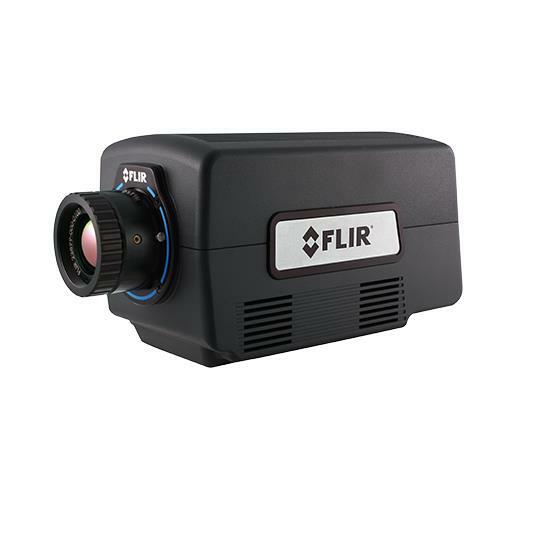 The A8300sc HD MWIR camera is geared for thermal electronics inspection, thermal microscopy, materials non-destructive testing, failure analysis, aerial thermal mapping, and industrial R&D applications. Short exposure times allow users to freeze motion and achieve accurate thermal measurements. In fact, the camera’s image output can be windowed to increase frame rates and accurately characterize even higher speed thermal events, helping ensure critical data doesn’t get missed during testing. The A8303sc HD MWIR cameras stream thermal data over Gigabit Ethernet and CoaExpress to a PC for live image viewing and recording. Using FLIR’s ResearchIR software, researchers and scientists can easily monitor, acquire, analyze, and share data. The A8303sc allows for full user control over integration times, frame rates, synchronization inputs, and window sizes. In addition, the camera mates with MWIR close up optics for zoomed-in fields of view, making the camera perfect for thermal imaging of small targets. 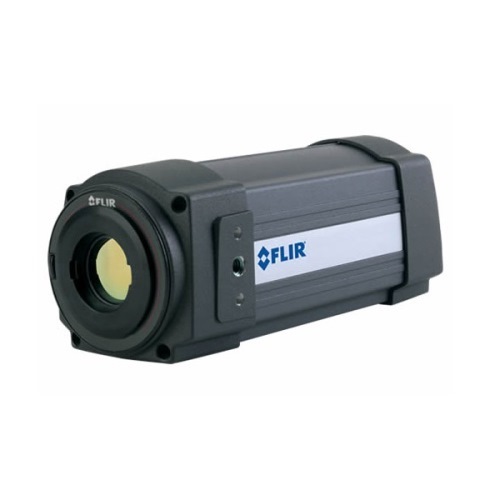 The A8300sc incorporates a cooled FLIR Indium Antimonide (InSb) detector that operates in the 3 to 5 micron waveband. It produces crisp mega pixel thermal images of 1280 x 720. Achieving a high thermal sensitivity with very low noise (typically <20mK), the FLIR A8300sc is able to capture the finest image details. 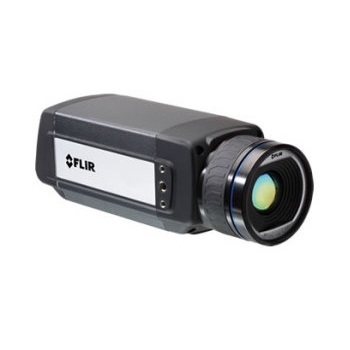 Working in snapshot mode, the FLIR A8300sc is able to capture all pixels from a scene simultaneously. This is particularly important when monitoring fast moving objects where an uncooled thermal imaging camera would suffer from image blur. The camera supports faster frame rates when operating in windowing mode. 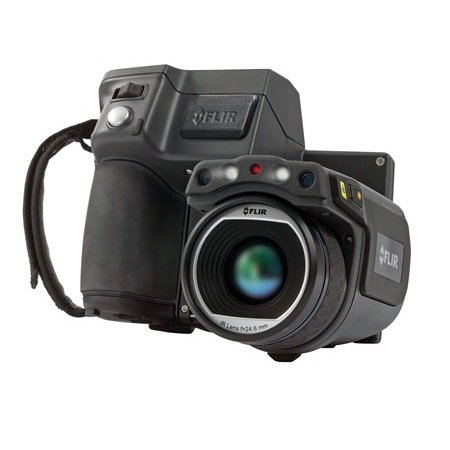 Using a standard GigE Vision® or USB3 Vision™ interface to transmit full dynamic range digital video, and GenICam for camera control, the FLIR A8300sc is a true “plug and play” thermal imaging camera. Additional interfaces include BNCs for CoaXPress (CXP) and HD-SDI video output. The video interfaces are simultaneously active yet independently controlled allowing greater flexibility for recording and display purposes. 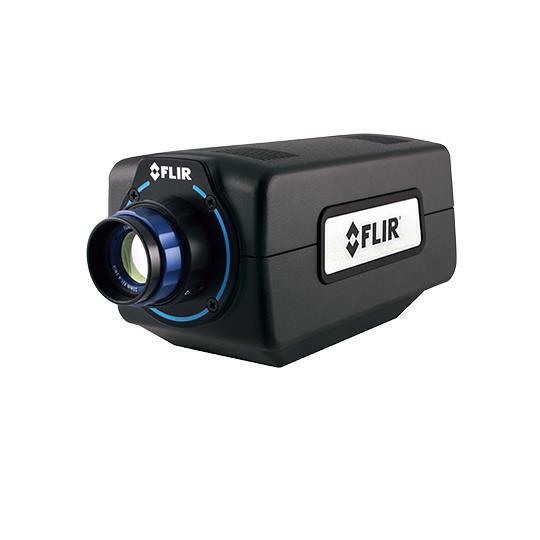 The FLIR A8300sc camera works seamlessly with FLIR ResearchIR Max software enabling intuitive viewing, recording and advanced processing of the infrared data provided by the camera. A Software Developers Kit (SDK) is optionally available. Control the A8300sc and capture data directly into MathWorks® MATLAB software for advanced image analysis and enhancement.